Having a lightweight versatile vacuum for your home is a necessity nowadays. We all have busy lives and we tend to overlook some of the messes that occur in our home. It can be inconvenient to get out the heavy vacuum cleaner all the time, so that’s where the Shark Rocket Vacuum (HV301) comes into the picture. Whether you need to clean your floors or even as high as your ceiling fans, the Shark Rocket Vacuum will fit your needs. And the best part about it is that it will never lose suction, even when you are transitioning to different surfaces. The slim design makes it easy to maneuver around large furniture or even small obstacles. The Rocket Technology is almost guaranteed to never lose suction, no matter the surface you are cleaning. 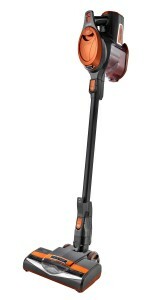 It has the suction power of a standard upright vacuum, but without the weight or bulkiness. The main thing that people like about this vacuum is that it works just as well on thick carpet as it does on hardwood floors. If you have pets, this is an absolute must-have vacuum. It can handle even the clingiest hairs on any type of surface with ease. And speaking of any surfaces, good luck trying to find a surface that the Shark Rocket Vacuum (HV301) can’t clean. You truly have everything you need to clean your home from top to bottom with this vacuum. People also like the amount of attachments that it comes with. You can clean behind furniture, ceiling fan blades, mini blinds and even some small appliances with the micro attachments that are included. The Shark Rocket Vacuum is essentially a stick vacuum, an upright vacuum and a handheld vacuum all in one. Despite all of the positive things about this vacuum, there are a few things you need to be aware of as well. One thing that’s an annoyance is that it has a hard time standing up on its own. This makes it difficult if you need to take a break, or when you are switching rooms and need to find a new plug. Since the vacuum is pretty top-heavy, it can put a strain on your wrists or arms when you are using it. It’s a lightweight vacuum in general, but the weight distribution makes it seem a little heavier than it actually is at times. Let’s face it, there are a lot more reasons why you should own the Shark Rocket Vacuum (HV301) than why you shouldn’t own it. If you like to clean your home on a frequent basis, then you will love it because it is lightweight and versatile enough to get every cleaning job in your home done quickly. If you don’t clean as often, then you will love it because it is strong enough to get even the thickest dust and toughest dirt on virtually any surface. You won’t have to go out and buy another vacuum or a bunch of attachments when you have the Shark Rocket Vacuum. It’s hard for products to live up to the hype, but this one proves that it does when you see all the positive reviews from people on Amazon. Shark is one of the pioneers in the small household appliance industry and they have existed for more than 100 years. From vacuum cleaners to blenders, Shark consistently manufactures top-notch products that are essential in every household. The company takes pride in their simple designs, yet innovative technology. They always keep up with the latest trends and even start trends with many of their innovative products.